From a plank walkway to a beautiful bridge... and entirely funded by passionate individuals and community support. With dedication and perseverance there is now a beautiful new entrance to the preserve! ​Come enjoy, hear the birds and hike the trails on this beautiful land. ​​CT Fund for the Environment continues to represent us in ongoing legal battles to protect and preserve the remaining 236 acres of undeveloped, unprotected Oswegatchie Hills. Our legal counsel feels that the recent court decision is flawed on many levels. As one example, Supreme Court has upheld repeatedly the distinction between a sewer "connection" and an "extension." We feel that Superior Court incorrectly decided that because the Gateway project received a "connection," that Landmark should, therefore, be granted capacity for an "extension." Gateway has been paying sewer benefit assessment for their land for years and the site abuts an existing sewer line. This is not the case with Landmark and we believe that this as well as other errors with the recent court decision are significant. We, therefore, are proud to support the town of East Lyme in their request to have this case reviewed at the Supreme Court. Paul Whitehouse, a founding board member of the Friends, received a surprise ancient relic last year from his friend and former neighbor Jeff Alling, who currently lives in North Pole, Alaska. In 1973 while hiking, Jeff discovered a dart head in The Hills. 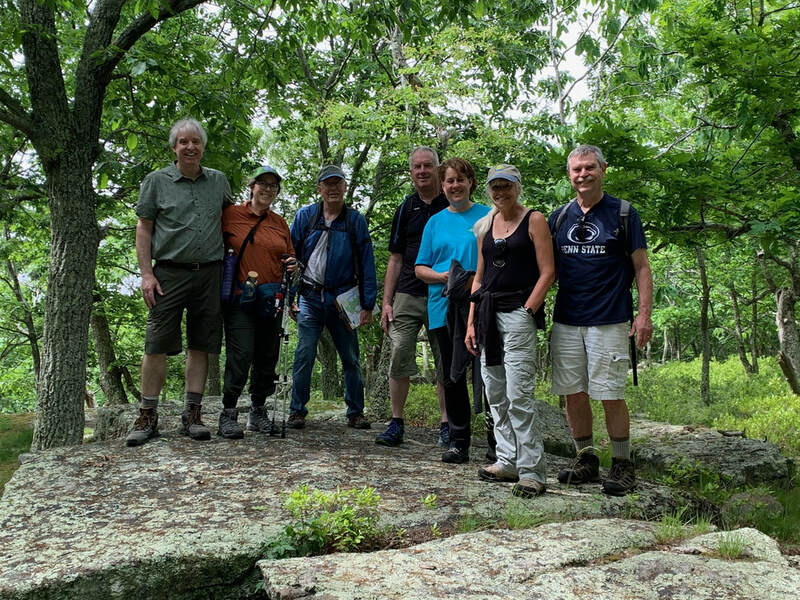 With the help of Jay Levy, from the Mohegan Tribal Historic Preservation Office and Archeology Department, it has been identified as a Quartz Lamoka Point from 5500 to 3500 B.P. (Before Present)! The dart point is a stone projectile made by Native Americans. It predates the invention of the bow and arrow and was most likely hand thrown using an atlatl (see graphic below). The atlatl is similar to the common modern ball throwers (molded plastic shafts used for throwing tennis balls for dogs to fetch) which uses leverage for greater speed and accuracy. The dart point was used as a hunting weapon to kill a deer or small game. ​Research suggests the atlatl was a social equalizer in that it requires skill rather than muscle power alone; allowing women and children to participate in hunting. The dart point and Jay Levy’s certification will be on display at the May 4th Annual Meeting.